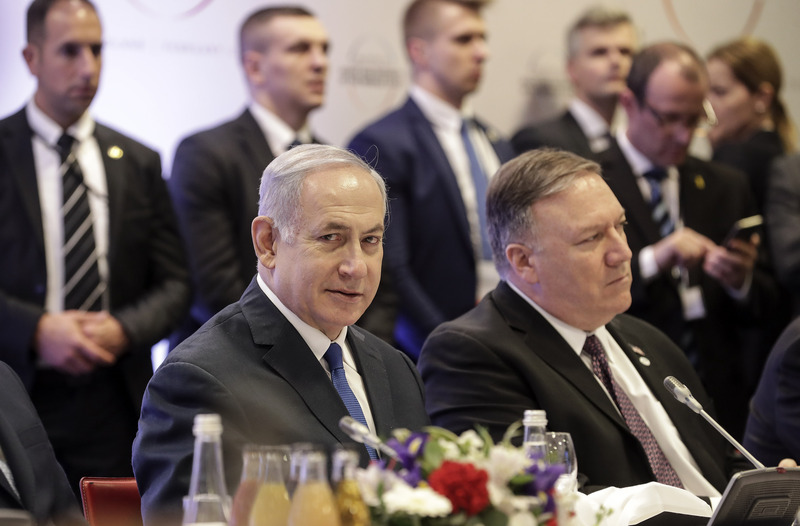 Warsaw, Poland - Israeli Prime Minister Benjamin Netanyahu on Thursday denied suggestions of going along with Holocaust historical revisionism in Poland. Last year, Poland and Israel were embroiled in a bitter dispute over a Polish law that made it a crime to blame the Polish nation for Holocaust crimes. Israel saw it as an attempt by Poland to suppress discussion of the killing of Jews by Poles during the wartime German occupation. The dispute was resolved when Poland softened the law and Netanyahu and his Polish counterpart agreed on a joint declaration stressing the involvement of the Polish resistance in helping Jews. It was seen as a diplomatic coup for Poland but Netanyahu faced criticism from historians in Israel, including at Yad Vashem, for agreeing to a statement that they said distorted history. “The idea that we distort history or hide it is nonsense,” Netanyahu said. He was in Warsaw for a conference on the Middle East.